Living with a damaged smile is tough – even just a few flawed or decayed teeth create a negative impact on oral function and confidence. The good news is that modern cosmetic dental treatments have made it easier to restore your smile to its original beauty. At Schambeau Dental Care, we are proud to help you achieve new-found oral health and self-esteem with cosmetic dentistry in Hoover, AL. Composite fillings – Fill in decayed spots on teeth with tooth-colored resin, instead of silver metal amalgam. Porcelain crowns – Protect decayed teeth and restore their healthy appearance with a cap of tooth-colored porcelain. Porcelain fixed bridges – Replace missing teeth with a fixed prosthetic that anchors to surrounding teeth and is permanently bonded in place. Veneers – Disguise flaws like chips, cracks, mild misalignment, and heavy discoloration with thin porcelain shells that are bonded to the fronts of teeth. Teeth whitening – Lifts years of discoloration from teeth. Options for teeth whitening include at-home whitening trays, as well as one visit, in-office dental whitening. Schambeau Dental Care offers the convenience of Zoom! teeth whitening. Zoom! gives you dazzling new smile in just about an hour. We want your smile to look natural, which is why we offer porcelain prosthetics. Porcelain looks like your natural dental enamel, mimicking the translucence of your real teeth. 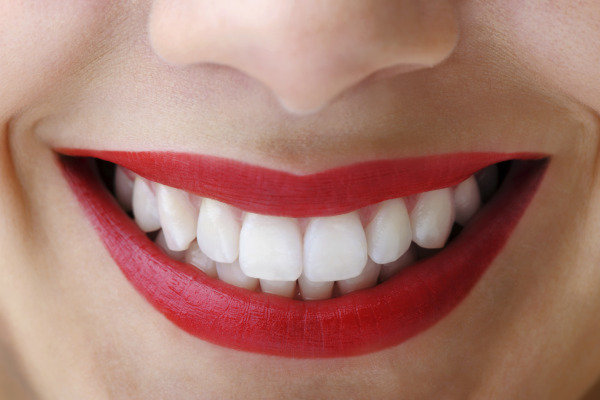 Porcelain can also be stained or colored to blend perfectly with your existing teeth. We take care to ensure that your smile doesn’t look fake in anyway, but is restored in a naturally appealing way. We Make Dental Crowns in One Day! In the event that you have damaged teeth, dental crowns are typically the best solution for boosting the strength of your teeth, and allowing them to look healthy. However, dental crowns take two weeks to fabricate – making the process lengthy. Our Hoover cosmetic dental team is proud to offer patients the benefit of CEREC crowns-in-a-day. We are able to design and produce your porcelain dental crown in just one office visit – no more waiting for a permanent prosthetic to restore your smile. We help you find the dental therapies that fit your needs and accomplish your smile goals. Our tooth-colored materials and flexible treatment options make it easy for Dr. Schambeau to create the treatment plan that works for you. If you have questions about the cost of cosmetic dentistry, or your options for treatment, call our Hoover, AL dental office today at (205) 428-2205 or schedule your consultation online.